She taught at the school for 14 years until it was closed in 1994. For her, St. Paul was more than just a place it was an experience. One that was greatly shaped by the BVMs. The BVMs provided the principal and staff throughout St. Paul’s 77-year history. Over 100 graduates entered the BVMs, and in 1990, five percent of the living membership was from St. Paul. All from a “tiny school” in San Francisco. Although the small school in San Francisco closed more than two decades ago, the spirit of St. Pauls lives on through its alumnae association and its more than 2,000 active members who still hold on to the experiences, friendships, and sisters that shaped them into who they are today. “I remember the last day of school senior year,” reflects BVM Julie O’Neill (class of 1950). “I lived eight blocks from the school, and I cried the whole way home. There was something magical about St. Pauls.” Her experience inspired her to become a BVM after graduation. She later returned to her beloved school in the 1980s to teach remedial studies, a subject she proudly “taught by choice.” “St. Paul’s prepared me for that,” she says with a big smile. 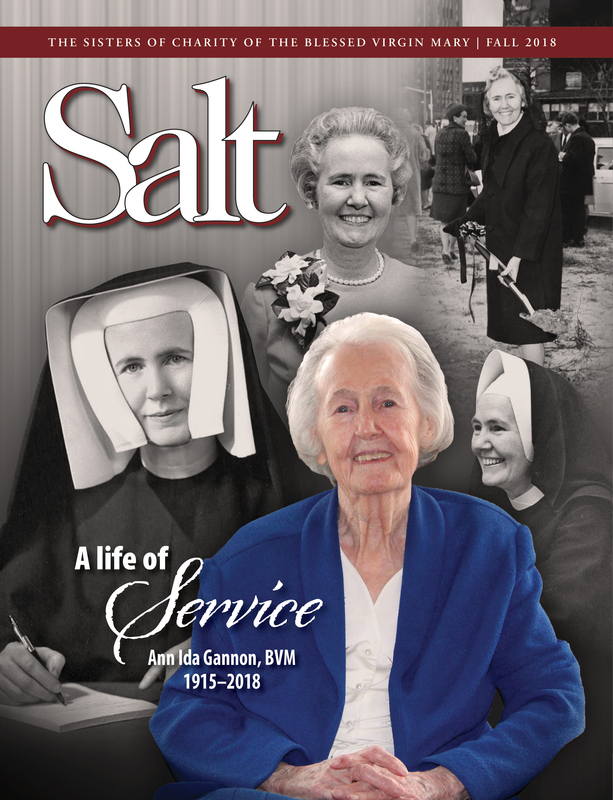 Every April, the alumnae association hosts a fundraiser—giving 20 percent of the proceeds back to the BVMs who continue to impact its alumnae every day. St. Paul High School was established by St. Paul Parish in San Francisco in 1917. The former baptistery of the church, now the Blessed Virgin Mary Chapel, lists the names of all the BVMs who served in the parish, as well as all the religious and priestly vocations to various dioceses and congregations which come from St. Paul Parish. BVMs (l. to r.) Julie O’Neill, Karen Conover, Mary Louise (James Mary) Caffery, and Kathleen (Johnine) McGrath sing their school song at a bench donated by the St. Paul alumnae association at Mount Carmel in Dubuque, Iowa. 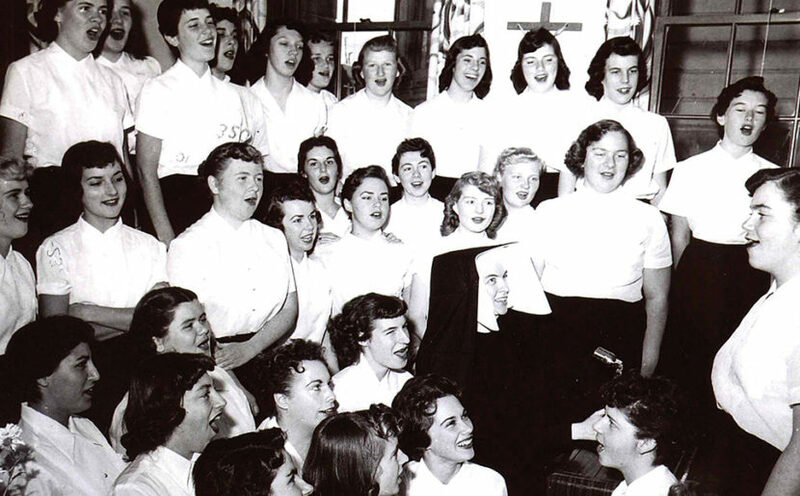 Featured photo caption: Ann Regina Dobel, BVM practices choir with her students.